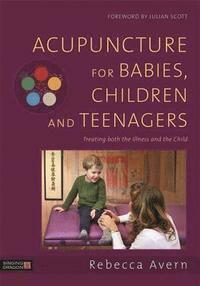 Acupuncture for children continues to be a rapidly growing area of interest amongst both practitioners and parents. It is often quicker and usually more effective than orthodox Western Medicine, free from side effects and wholly suited to treat so many conditions that plague children. Rebecca's advice is comprehensive and includes lifestyle and diet advice in addition to needling techniques for children. Plus, there is an important overview of other therapeutic techniques that can be used when treating children, such as shonishin, pediatric tui na, cupping, laser acupuncture and more. 'Acupuncture for Babies, Children and Teenagers' is for anyone interested in learning how to treat children or expand their knowledge. Rebecca's book is jam-packed with clear, useful information and knowledge. It belongs on your shelf. ' - Jennifer Dubowsky, L.A.c.